Making Vinegar From Scratch - Two Ways! Making homemade vinegar offers you a flavorful liquid and beneficial bacteria (like yogurt or kombutcha). And the finish vinegar can be used in cooking, beverages and it makes the most incredible salad dressing EVER! In this podcast episode, I interview Karla DeLong from Mountain Feed & Farm Supply and talks about the easy steps of making homemade vinegar from scratch. Now you may already know about making vinegar with a “mother”, but you can also make vinegar from nothing more that fruit bits. And the process is really pretty fun! What’s on the bottom of those tiny fruit fly’s feet?? 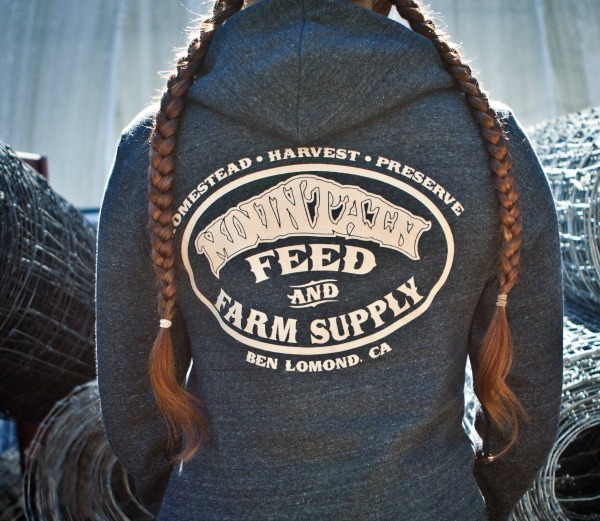 Mountain Feed & Farm Supply is a cool homesteading supply store here in California just north of Santa Cruz. Part of their mission is to offer classes on homesteading skills and Karla DeLong is one of their knowledgable instructors. Karla is a certified natural chef and a preservation expert who also homesteads. And she totally geeks out on food preservation projects just like I do. I love that! In the first part of the episode, Karla and I talk about making vinegar using a “mother”. This is how I have made vinegar and it’s super easy. All you need is some wine and a “mother”. But what is a mother??? A “mother” is the bacteria that you use to inoculate your wine. Technically, it is a SCOBY which stands for Symbiotic Culture Of Bacteria and Yeast. All the steps are given in the audio podcast, but if you would rather read than listen, the full instructions are in the transcript below. In the second half of this episode, Karla explains how you can also make vinegar without a mother using leftover fruit scraps (like apple peels and cores). With this method, you are not starting with an alcoholic beverage like wine. So you first do a primary fermentation on your countertop to create an alcoholic brew. And then you go through a secondary fermentation to transition that into vinegar. 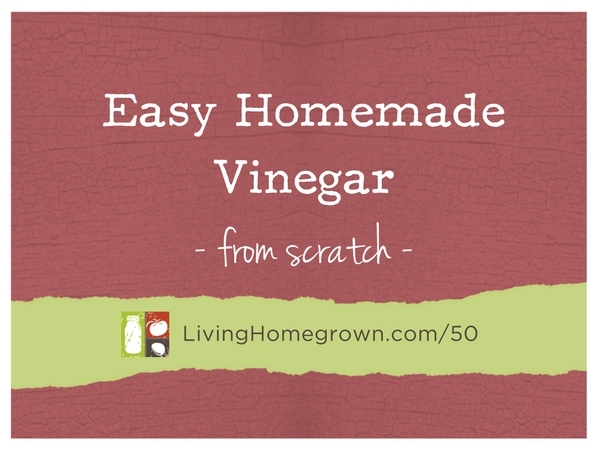 Here’s a link that walks you through the steps of making vinegar from fruit scraps. And you can also download the transcript below which has all the instructions Karla gives in the audio podcast. Source for buying a “mother” – Farmcurious is one source for buying a mother if you don’t have a friend with one. Im wondering if you could freeze a mother ? What is the difference between a Vinegar scoby and a KOMBUCHA SCOBY? I’m trying a batch of red wine vinegar now using a Kombucha scoby. I think it will work, just maby take a little longer. We’ll see.